Those who make the trip know why Steamboat stands alone! Whether you’ve booked a Ski & Spa at the Steamboat Grand, a condo on the golf course, or a slopeside lodge, our Sitters have all of Steamboat Springs covered! Our Sitters know that the Kids’ Adventure Zone is a great place to start a day of outdoor fun, complete with a ropes course, slingshot bungee, climbing wall, bounce-house, mechanical bull, human gyro and more. There’s also an alpine slide in town and year-round ice skating at Howelsen Ice Arena! Next stop by Amaze’n Steamboat Family Fun Park with mini-golf, gemstone panning, bungee trampoline and, of course, a giant maze! When it’s time to refuel, everyone knows the best treats are at Fuzziwig’s Candy Factory and the old-fashioned soda fountain at Lyon’s Drug Store! Maybe it’s a better day for indoor fun? 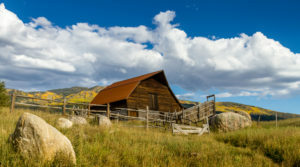 Steamboat Springs still has lots to offer. Old Town Hot Springs has indoor and outdoor heated pools, water slides and a special area for little ones. Excel Gymnastics has drop in classes and open gym time. The Steamboat Arts & Crafts Gym will bring out your kids’ creative side. The Tread of the Pioneers museum will fill young imaginations with stories of life in Steamboat’s mining heyday. And don’t forget The Bud Werner Memorial Library has children’s books and storytimes! REQUEST YOUR STEAMBOAT BABYSITTER NOW!